A Leader in Client Satisfaction – R. Craig Lord Construction Company | R. Craig Lord Construction Co.
R. Craig Lord Construction Company was showcased in the Qualified Remodeler Magazine, July 2016, as one of sixty remodeling firms from across the country leading the way with client satisfaction. R. Craig Lord Construction uses an objective third party service, Guild Quality, to track the company’s client satisfaction. 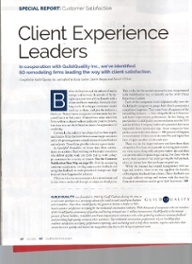 With a 2015 recommendation rate of 100% and an all-­ time recommendation rate of 97.83% since joining Guild Quality in 2007, the company has built a reputation for quality work and exceptional client service. R. Craig Lord Construction Company is located in Moorestown, NJ. 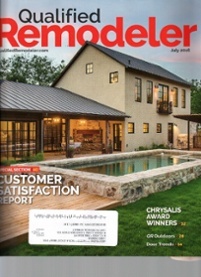 To read the entire article, please go to Qualified Remodeler for the July Magazine Issue.